Keep your belongings in one spot at the Dallas StorQuest Self Storage. Our location on the northwest side of Dallas, TX, is close to Irving, Highland Park, Carrolton, Farmer’s Branch, University Park, and surrounding neighborhoods. Self storage is a cinch at the Northwest Dallas StorQuest. We offer small, medium, large, and extra-large storage lockers with climate-controlled units available. Our on-site professional team is happy to answer questions if you’re new to the area, and we have boxes, locks, and other moving supplies available for purchase. Hauling your belongings in a big truck? Don’t worry! Our facility is equipped with wide driveways and units that feature roll-up doors and drive-up access. We also offer a number of other conveniences including month-to-month leasing options, long-term rentals, and discounts for military and seniors. 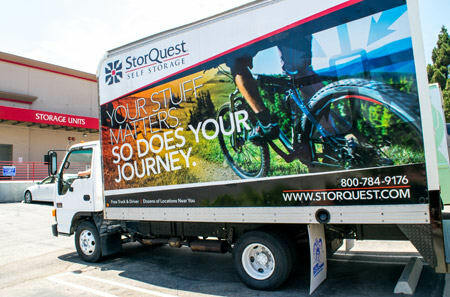 At StorQuest Self Storage in Dallas, TX, our services are designed to give you everything you need for a successful moving or storage experience. We offer access to your residential or commercial unit 24 hours a day, seven days a week, 365 days a year so you can retrieve your stored items when it’s convenient for you. We know small business is competitive and at StorQuest we want to keep you in the running. On behalf of our commercial storage unit holders, we gladly accept commercial deliveries during business hours. Our electronic invoices and online bill pay making doing business easy with StorQuest in Dallas, TX. For more information on our convenient features, contact our leasing office today. We’re ready to get you in the space you need to succeed.